Aphid is a common crop pest. As a kind of agricultural pest and the carrier of plant viruses, aphids result in serious damage in the development of agriculture. Scientists try their best to find out the effective method for aphid control. Scientists pay attention to transgenic engineering for its high efficiency in aphid resistance. In this paper, the progress of the aphid resistance engineering research in recent years were reviewed, the potential application of aphid-resistant gene in aphid- resistant cotton transgenic engineering and the development direction of aphid-resistant transgenic breeding were discussed. We provide an overview and information useful for aphid-resis- tant cotton transgenic breeding. Dubey, N.K., Goel, R., Ranjan, A., et al. (2013) Comparative Transcriptome Analysis of Gossypium hirsutum L. in Response to Sap Sucking Insects: Aphid and Whitefly. BMC Genomics, 14, 241. 杨忠娜, 唐继军, 喻晓玲. 新疆棉花产业对国民经济的影响及对策研究[J]. 农业现代化研究, 2013(3): 298-302. Sujii, E.R., Togni, P.H., De, A.R.P., et al. (2013) Field Evaluation of Bt Cotton Crop Impact on Nontarget Pests: Cotton Aphid and Boll Weevil. Neotropical Entomology, 42, 102-111. Smith, C.M. and Chuang, W.P. (2014) Plant Resistance to Aphid Feeding: Behavioral, Physiological, Genetic and Molecular Cues Regulate Aphid Host Selection and Feeding. Pest Manage Science, 70, 528-540. Yu, X., Wang, G., Huang, S., et al. (2014) Engineering Plants for Aphid Resistance: Current Status and Future Perspectives. Theoretical and Applied Genetics, 127, 2065-2083. 马亚玲, 刘长仲. 蚜虫的生态学特性及其防治[J]. 草业科学, 2014(3): 519-525. 张建民. 棉花抗蚜基因的筛选及功能研究[D]: [博士学位论文]. 武汉: 华中师范大学, 2014. 雒珺瑜, 崔金杰, 吴冬梅. 转半夏凝集素基因抗蚜棉花材料对棉蚜的控制效果[J]. 中国棉花, 2010(9): 12-14. Bhatia, V., Bhattacharya, R., Uniyal, P.L., et al. (2012) Host Generated siRNAs Attenuate Expression of Serine Protease Gene in Myzus persicae. PLoS ONE, 7, e46343. Chougule, N.P. and Bonning, B.C. (2012) Toxins for Transgenic Resistance to Hemipteran Pests. Toxins, 4, 405-429. Hagenbucher, S., Wackers, F.L. and Romeis, J. (2014) Aphid Honeydew Quality as a Food Source for Parasitoids Is Maintained in Bt Cotton. PLoS ONE, 9, e107806. 高莹, 瞿礼嘉, 陈章良. 植物凝集素的分子生物学研究[J]. 生物技术通报, 2000(5): 18-22. 赵寅生. 凝集素生物学功能及应用(综述)[J]. 安徽农业大学学报, 2001, 28(4): 445-447. Stoger, E., et al. (1999) Expression of the Insecticidal Lectin from Snowdrop (Galanthus nivalis agglutinin: GNA) in Transgenic Wheat Plants: Effect on Predation by the Grain Aphid Sitobion avenae. Molecular Breeding, 5, 65-73. Yang, S., Fitches, E., Pyati, P., et al. (2015) Effect of Insecticidal Fusion Proteins Containing Spider Toxins Targeting Sodium and Calcium Ion Channels on Pyrethroid-Resistant Strains of Peach-Potato Aphid (Myzus persicae). Pest Management Science, 71, 951-956. 王志斌, 郭三堆. 表达cryIA/gna双价抗虫基因烟草兼抗棉铃虫和蚜虫[J]. 科学通报, 1999(19): 2068-2075. Guo, H.N.J.Y.T.Z. (2004) The Effect of Transgenic Tobacco Plants Expressing Agglutinin Gene from Amaranthus caudatus on the Population Development of Myzus persicae. Acta Botanica Sinica, 46, 1100-1105. Wu, J., Luo, X., et al. (2006) Transgenic Cotton, Expressing Amaranthus caudatus Agglutinin, Confers Enhanced Resistance to Aphids. Plant Breeding, 125, 390-394. Jin, S., Zhang, X. and Daniell, H. (2012) Pinellia ternata Agglutinin Expression in Chloroplasts Confers Broad Spectrum Resistance against Aphid, Whitefly, Lepidopteran Insects, Bacterial and Viral Pathogens. 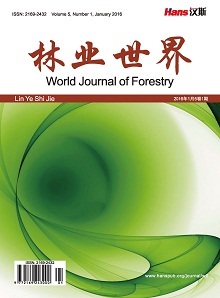 Plant Biotechnol Journal, 10, 313-327. 肖松华, 刘剑光, 吴巧娟, 等. 转外源凝集素棉花对棉蚜的抗性鉴定[J]. 棉花学报, 2005, 17(2): 72-78. Dutta, I., Saha, P., Majumder, P., et al. (2005) The Efficacy of a Novel Insecticidal Protein, Allium sativum Leaf Lectin (ASAL), against Homopteran Insects Monitored in Transgenic Tobacco. 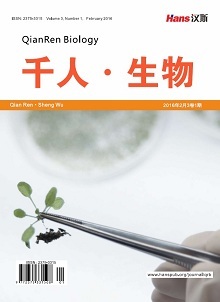 Plant Biotechnol Journal, 3, 601-611. Chakraborti, D., Sarkar, A., Mondal, H.A., et al. (2009) Tissue Specific Expression of Potent Insecticidal, Allium sativum Leaf Agglutinin (ASAL) in Important Pulse Crop, Chickpea (Cicer arietinum L.) to Resist the Phloem Feeding Aphis craccivora. Transgenic Research, 18, 529-544. Sadeghi, A., Broeders, S., De Greve, H., et al. (2007) Expression of Garlic Leaf Lectin under the Control of the Phloem-Specific Promoter Asus1 from Arabidopsis thaliana Protects Tobacco Plants against the Tobacco Aphid (Myzus nicotianae). Pest Manage Science, 63, 1215-1223. Zhou, C., Qian, Z., Ji, Q., et al. (2011) Expression of the Zga Agglutinin Gene in Tobacco Can Enhance Its Anti-Pest Ability for Peach-Potato Aphid (Myzus persica). Acta Physiologiae Plantarum, 33, 2003-2010. Chang, T., Chen, L., Chen, S., et al. (2003) Transformation of Tobacco with Genes Encoding Helianthus tuberosus Agglutinin (HTA) Confers Resistance to Peach-Potato Aphid (Myzus persicae). Transgenic Research, 12, 607-614. Ohizumi, Y., Gaidamashvili, M., Ohwada, S., et al. (2009) Mannose-Binding Lectin from Yam (Dioscorea batatas) Tubers with Insecticidal Properties against Helicoverpa armigera (Lepidoptera: Noctuidae). 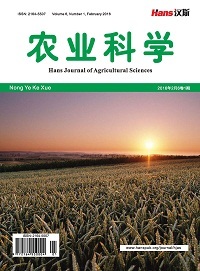 Journal Agricultural Food Chemistry, 57, 2896-2902. Kato, T., Hori, M., Ogawa, T., et al. (2010) Expression of Gene for Dioscorea batatas Tuber Lectin 1 in Transgenic Tobacco Confers Resistance to Green-Peach Aphid. Plant Biotechnology, 27, 141-145. Sauvion, N., Nardon, C., Febvay, G., et al. (2004) Binding of the Insecticidal Lectin Concanavalin A in Pea Aphid, Acyrthosiphon pisum (Harris) and Induced Effects on the Structure of Midgut Epithelial Cells. Journal of Insect Physiology, 50, 1137-1150. Gatehouse, A.R., Davison, G., Stewart, J., et al. (1999) Concanavalin A Inhibits Development of Tomato Moth (Lacanobia oleracea) and Peach-Potato Aphid (Myzus persicae) When Expressed in Transgenic Potato Plants. Molecular Breeding, 5, 153-165. Kanrar, S., Venkateswari, J., Kirti, P., et al. (2002) Transgenic Indian Mustard (Brassica juncea) with Resistance to the Mustard Aphid (Lipaphis erysimi Kalt.). Plant Cell Reports, 20, 976-981. 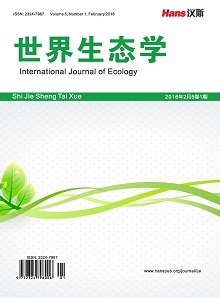 Shahidi-Noghabi, S., Van Damme, E.M. and Smagghe, G. (2009) Expression of Sambucus nigra Agglutinin (SNA-I’) from Elderberry Bark in Transgenic Tobacco Plants Results in Enhanced Resistance to Different Insect Species. Transgenic Research, 18, 249-259. 曲晓华, 浦冠勤. 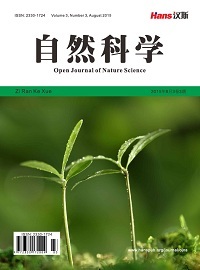 蛋白酶抑制剂的研究与应用[J]. 桑蚕茶叶通讯, 2003, 1: 19-22. Ceci, L.R., Volpicella, M., et al. (2003) Selection by Phage Display of a Variant Mustard Trypsin Inhibitor Toxic against Aphids. The Plant Journal, 33, 557-566. Smigock, A., Neal, J.W., Canna, M.I., et al. (1993) Cytokinin-Imediated Insect Resistance in Nicotiana Plants Transformed with the Ipt Gene. Plant Molecular Biology, 23, 325-335. Zhang, J.M., Huang, G.Q., Li, Y., et al. (2014) Cotton Photosynthesis-Related PSAK1 Protein Is Involved in Plant Response to Aphid Attack. Molecular Biology Reports, 41, 3191-3200. Avila, C.A., Arevalo-Soliz, L.M., Jia, L., et al. (2012) Loss of Function of Fatty Acid Desaturase7 in Tomato Enhances Basal Aphid Resistance in a Salicylate-Dependent Manner. Plant Physiology, 158, 2028-2041. Fu, M., Xu, M., Zhou, T., et al. (2014) Transgenic Expression of a Functional Fragment of Harpin Protein Hpa1 in Wheat Induces the Phloem-Based Defence against English Grain Aphid. Journal of Experimental Botany, 65, 1439-1453. Zhang, C., Shi, H., Chen, L., et al. (2011) Harpin-Induced Expression and Transgenic Over Expression of the Phloem Protein Gene AtPP2-A1 in Arabidopsis Repress Phloem Feeding of the Green Peach Aphid Myzus persicae. BMC Plant Biology, 11, 11. Klingler, J., Creasy, R., Gao, L., et al. (2005) Aphid Resistance in Medicago truncatula Involves Antixenosis and Phloem-Specific, Inducible Antibiosis, and Maps to a Single Locus Flanked by NBS-LRR Resistance Gene Analogs. Plant Physiology, 137, 1445-1455. Chen, J., Martin, B., Rahbé, Y., et al. (1997) Early Intracellular Punctures by Two Aphid Species on Near-Isogenic Melon Lines with and without the Virus Aphid Transmission (Vat) Resistance Gene. European Journal of Plant Pathology, 103, 521-536. Cid, M., ávila, A., García, A., et al. (2012) New Sources of Resistance to Lettuce Aphids in Lactuca Spp. Arthropod-Pant Interactions, 6, 655-669. Ten Broeke, C.M., Dicke, M. and Van Loon, J.A. (2013) Resistance to a New Biotype of the Lettuce Aphid Nasonovia ribisnigri in Lactuca virosa Accession IVT280. Euphytica, 193, 265-275. Cevik, V. and King, G. (2002) High-Resolution Genetic Analysis of the Sd-1 Aphid Resistance Locus in Malus spp. Theoretical and Applied Genetics, 105, 346-354. Pallipparambil, G.R., Sayler, R.J., Shapiro, J.P., et al. (2015) Mi-1.2, an R Gene for Aphid Resistance in Tomato, Has Direct Negative Effects on a Zoophytophagous Biocontrol Agent, Orius insidiosus. Journal of Experimental Botany, 66, 549-557. Zhang, G., Gu, C. and Wang, D. (2010) A Novel Locus for Soybean Aphid Resistance. Theoretical and Applied Genetics, 120, 1183-1191. 肖亮, 武天龙. 大豆抗蚜虫研究进展[J]. 中国农学通报, 2013, 29(36): 326-333. Gong, Y.H., Yu, X.R., Shang, Q.L., et al. (2014) Oral Delivery Mediated RNA Interference of a Carboxylesterase Gene Results in Reduced Resistance to Organophosphorus Insecticides in the Cotton Aphid, Aphis gossypii Glover. PLoS ONE, 9, e102823. Zhang, M., Zhou, Y., Wang, H., et al. (2013) Identifying Potential RNAi Targets in Grain Aphid (Sitobion avenae F.) Based on Transcriptome Profiling of Its Alimentary Canal after Feeding on Wheat Plants. BMC Genomics, 14, 560. Cindy, J.M., et al. (2013) Resistance to a New Biotype of the Lettuce Aphid Nasonovia ribisnigri in Lactuca virosa Accession IVT280. Euphytica, 193, 265-275. Dogimont, et al. (2010) Host Plant Resistance to Aphids in Cultivated Crops: Genetic and Molecular Bases, and Interactions with Aphid Populations. Comptes Rendus Biologies, 333, 566-573. 郑光宇. 基因工程防止蚜虫研究进展[J]. 喀什师范学院学报, 2006, 27(3): 54-60.